Piano lessons in Brighton and Bristol from PianolessonsUK. Skilled & friendly teachers for adults, children, beginners & experts. Book a free first lesson! Are you looking for piano lessons in Bristol or Brighton & Hove? We are based in Brighton & Hove but are also excited to announce our 2nd piano school in Bristol. We now provide specialist piano lessons to Bristol, Brighton & Hove and their surrounding areas. The 1st lesson is free. We build thoughtful teams of friendly and skilled piano teachers. We teach adults, children, beginners and experts too. 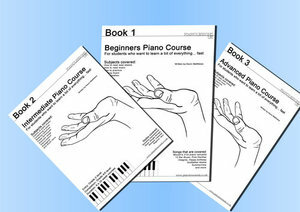 Our unique piano courses will have beginners playing with both hands in 5 lessons. You won't find them anywhere else in Bristol, Brighton & Hove or the rest of the UK. What can we promise if you take piano lessons with us? Piano lessons in Bristol, Brighton, Hove and beyond. What type of piano teacher will we offer you? What do we provide our piano teachers with? We have designed a number of unique and fun piano courses that help beginners and experts to learn the songs they love quickly. We are a friendly bunch, so come and play piano music you like, with people you'll like too. Did you pick up a flyer? Say hello! I picked up one of these flyers, it looks so different. Are you the same people? Yes. The website is looking a bit different but we are still the same. Send a message to me in Bristol or Paul, the Head Teacher in Brighton and Hove, and we will find the right piano teacher for you. Can I find a piano teacher near me? Yes. We have piano teachers in every district of Brighton & Hove. In Bristol we are focusing on the Gloucester road area at the moment but we can provide tuition in all areas such as, Redland, Cotham, Montpelier, Easton and Bedminster. We are only ever going to offer you piano teachers who are friendly and thoughtful. I don't have the time to learn piano music. How can I fit it in? To begin with, you will only need to practice as long as it takes to brush your teeth. Fast forward 2 months and you'd be able to play the piano. The oldest student we have taught was 96 and that worked wonderfully. Learning the piano as an adult is no harder than learning the ropes in a new job role or using a new phone. Most of our students are beginners and the piano courses help them to pick it up quickly. Give us 10 lessons and you'll learn to improvise a 12 bar blues. For younger students, we start at 3 but all children are different. I guarantee that, with a bit of time and guidance, anyone can get it. You don't have to take any lessons after the FREE 1st piano lesson. Although, we are very confident that you will. My name is Kevin Matthews and I am the owner and founder of PLUK. Before I start harping on about the things I've done, I must thank my mother and father. They worked very hard to nurture and support me with kindness and patience. I owe everything to them. I achieved Grade 8 at 11 years old. I was offered scholarships to a number of public schools such as Charterhouse and Eton to name a few. I chose to study at Lancing College where I was awarded the top music scholarship for piano performance. There, I studied piano under Mr. Timothy Arnold who is currently Executive Director at ABRSM. After Lancing College, I studied classical music at Chichester College where I learnt piano under Terrence Allbright. I then went on to study music at Surrey University and learnt piano under Mr. Peter Croser. Since 1998, I have taught the piano to hundreds of students both privately and developed learning programs for institutions such as the RNIB. I have a 100% pass rate for those who have taken ABRSM exams. I have composed and produced music for companies such as Panasonic and Gillette. 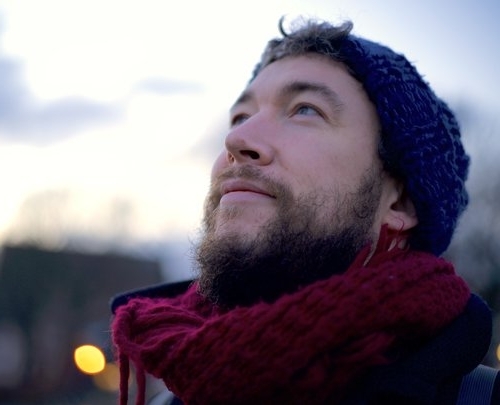 I have also composed and performed music for installations at arts festivals such as Lincoln Digital Arts festival, White Night Festival and the Brighton Digital Arts Festival. Performing the piano is a constant practice of mine. I have done so in live concerts, sometimes to over 2000 people and in recorded sessions for media companies such as the BBC. I also have extensive experience organising and delivering live music events at many of Brighton's most famous venues. Venues such as Komedia, Concorde 2, The Green Door Store and the Hare and Hounds (which used to be called the Hydrant). What is the history and future of PianolesssonsUK? The experience and skills gathered from the above culminated in the foundation of PianolessonsUK, in Brighton & Hove, at the end of 2011. In the years between 2011-2017 I managed the school operating as Head Teacher. My duties were teaching, training and management of the teachers and their customers whilst continuing to develop the piano courses, promotional materials, website, teacher training methods, booking system and our other digital platforms. Paul Hunter took over the day to day running of the school in 2017. Since then, I have focused on continuing the development of the aforementioned in order to maintain our already consistent improvement of Brighton Piano School. We will use this system to develop more schools across the UK delivering the same services whilst adding more piano courses and developments as we go. Our second piano school is now blossoming in Bristol. We are looking to develop a number of musical communities whose aim is to bring people together with music. We provide friendly piano teachers, with all the tools necessary to deliver great piano tuition to our students in their piano studio. We then provide a platform where people can come together and share their learning experiences. We want to create a musical environment that encourages growth within a nurturing community where everybody feels welcome. Why did you choose to setup the next piano school in Bristol? Bristol is a wonderful city and I've enjoyed getting to know it better. Bristol is very similar to Brighton in many ways; the people are very welcoming and friendly. There's a strong musical heartbeat here with many excellent community focused projects. Bristol is also very supportive for new businesses and that has been very welcome. I am delighted to say that I have found a number of excellent teachers already. We are now providing piano tuition all over Bristol. Areas such as Gloucester road, Montpelier, Redland, Cotham, Clifton and Temple Meads and Keynsham to name a few. What is a great piano teacher? In order to be an excellent piano teacher, there are variety of different skillsets that are needed. We look for good listeners, who are friendly, with the necessary skills and location, to provide you piano tuition. The ability to deliver the above in a structured and reliable manner will give our students the necessary environment to develop in a positive manner. Our piano teachers must welcome feedback and be dedicated learners themselves. We believe that healthy learning is born out of positive relationships. All of our teachers must be good at what they do but primarily, they must make you feel welcome. What do you look for in a Head Teacher? A Head Teacher needs to be knowledgeable and compassionate with an ability to deliver our services in a welcoming manner. Excellent communication skills are an essential part of teaching but also in the management of staff. I look for a strong but friendly approach, as the Head Teacher is responsible to ensure that the progress of all is looked after. A great Head Teacher should instil a feeling, in all of the service users, that their wealth of knowledge and the training we provide, is accessible to guide all concerned. There are times when guidance must become instruction to ensure our customers quality of service. This is a difficult balance to strike and requires a warm and likeable personality. A great Head Teacher, like all of us, must be aware of the constant need to develop themselves and acquire further knowledge. What do you think sets the piano courses apart from others? The courses offer structure and focus through goal orientated learning using fun and recognisable pieces. This allows the student to access a variety of styles and it runs concurrently with the ABRSM syllabus. 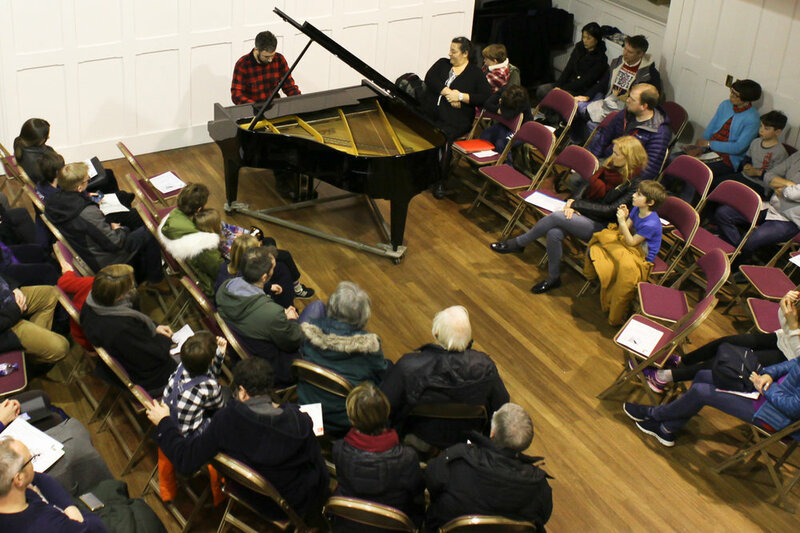 The student will approach numerous piano styles such as blues, swing, classical and film music through pieces such as Cruela de vil, Chopin's Valse in A minor or the Godfather theme. The student will also learn how to compose a piece of music and essential information like the structure of the major and minor scales. The management of stress is at the heart of all successful learning experiences. Each new skill is introduced slowly but the student's enjoyment is always a priority. The information is presented using simple language and it's layout is designed to reduce stress and unwanted stimulation. This peripheral input is distracting and overloads the brain which translates as stress. A student who can recognise and solve problems quickly is one that feels less stressed in the learning process. The piano courses describe specific practice methods which define this allowing students to manage this essential part of piano study. Our fundamental goal is to develop a self sufficient learner, who can manage their practice and gain musical independence through a variety of styles and songs that are widely recognisable. What do our piano students say? "The Beginners piano course is so carefully designed." "I've learned to play the blues, how to improvise, about piano technique and I've written a song. It's only been 15 lessons. Kevin is so good at explaining the pieces that even if I get stuck I know that at the next piano lesson the problem will be solved." "I am so lucky to have found a piano teacher with his expertise and great personality." "As a 42 year old man with a history of health problems and an ambition to play the piano, it was a delight to find Jamie. He is patient, explains everything clearly and gives you tips to remember how to read music. On my first lesson I got such a friendly welcome and I felt at ease and less nervous immediately. I cannot recommend Jamie enough." "Two more pianists blossoming as I type." "My two children have recently started the piano lessons, adore the games and find it really fun. They are hooked!l - Thank you!" This will help us to find a piano teacher nearby. Thank you! We will be in touch with you as soon as possible and are looking forward to speaking with you.